Another legendary Las Vegas casino, Harrah’s, has relatively recently established itself in the New Jersey gambling scene. That’s why today we’ll be doing a Harrahs Casino online review, so prepare for a full analysis of their games, bonus and loyalty programs, mobile apps, software, user-friendliness, and safety and security measures. Although at first glance, their offer of just over 80 slot games and only a few table games may deter or discourage serious players; but what they lack in variety they mostly compensate for with a rich and enticing bonus program. So buckle up, sit tight, and join us for an in-depth look at the world-famous Harrahs online casino. In 1937, a brave entrepreneur by the name of Bill F. Harrah opened his first bingo parlor in California. Over the course of the next few decades, Harrah’s expanded its empire further east, until finally in 1973 a Harrah’s Casino in Las Vegas, Nevada, was established. Since 1992, the casino known as Harrah’s Las Vegas has been operated by Caesars Entertainment. Harrahs online casino launched in November of 2013, when the company recognized the potential of the booming Atlantic City gambling scene. 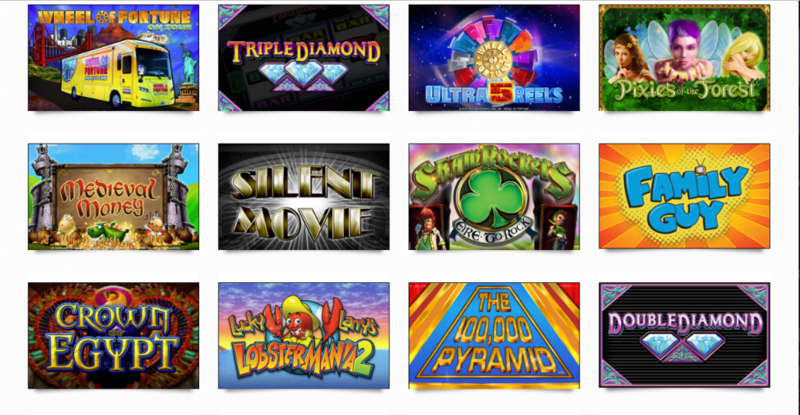 Right from the start, we come across Harrah’s biggest weakness—the abysmal variety of games. There are only four types of game options. To give you the gist of how poor it is: there’s more text describing the rules than actual games on some pages. The slots section is, as expected for an online casino, the largest one. But it’s still one of the weakest points in our Harrahs Casino online review. It contains only 79 games, which is unacceptable if the casino wants to keep up with the competition. You have your average roster of slot games found at any online casino: Zeus, Cleopatra, Triple Diamond, Irish Riches, and licensed franchises like Family Guy and Kiss. The blackjack section offers you three different games: Classic, European, and Premium Blackjack. Premium Blackjack is the only variation that stands out, solely because of the $2,000 maximum betting limit, as opposed to the other two’s $300 maximum betting limit. The roulette section in Harrahs online casino is in fact somewhat decent, with four different roulette games to play: Classic, Premium, Premium European, and Premium French Roulette. Premium has a maximum bet limit of $2,000, as opposed to Classic’s $600. Premium French Roulette stands out with its better probability in favor of its players with its single zero and high maximum bet limit. As for the video poker section, that’s another low spot on our Harrahs Casino online review. Compared to the competition, the casino’s offer is again quite small with only two games: 10s or Better and Deuces Wild. Now, the bonus section is where Harrah’s Casino really shines! In the last year they decided to be extra generous, so if you visit their Facebook, Google+, and Twitter pages, there are lots of special bonuses that you can find there. There’s no single universal code that you can use, so it’s better to follow their social media if you want to grab a unique Harrahs promo code in 2018. As for the regular bonuses, right from the start, they offer you a 100% Welcome Bonus Match up to $300. That means if you deposit up to $150 after signing up, you can get up to $300 added to your account. Upon reading Harrah’s terms, we feel assured that all the deposited money will be returned if you decide to opt out in the middle of the bonus program—minus the bonus, of course. Another enticing bonus is the $10 Bonus giveaway that you can apply for this month. The process is simple: upon registering, just visit Harrahs online login page and claim your $10 Bonus giveaway. Of course, you can opt out any time and reclaim any money you deposited. Last but not least is the Weekly Playback Bonus Promotion. You have to watch out for this one because it gets updated every week. After activating it, whenever you play and earn extra Tier points, your bonus multiplies, and you can withdraw it the next Monday. It’s no big deal: all you need to do is log in and enter the Harrah’s promo code PLAYBACK, and you can claim your weekly bonus in no time. However, watch out, since you can’t withdraw any money unless you wager an additional sum five times bigger than the bonus received! Obviously, this one is a waste of time and money, since you have to get pretty lucky to take it home with you. For an online casino with a disappointingly low variety of games, it’s an amazing surprise to see that their apps contain more slot games than the web version. If you want to play on the go, there are apps both for Android and iOS. However, a Harrahs Casino online promotion code won’t mean anything here since the promotions option is omitted from the app version. Also, be warned that the apps are very poor quality, so bugs and glitches occur almost regularly. You can, however, deposit and withdraw money using the apps. Right when you enter the website, you can immediately see that a great deal of effort went into making it as user-friendly as possible. The graphics are flashy and colorful, clearly made with the purpose of catching your attention. Accessing the promotions and entering a Harrahs online casino bonus code is easy as pie. If you’re having trouble, there’s a pop-up window that will take you to their customer support page right away. The games are neatly organized into subcategories by type. A lack of search options would be considered a great miss—luckily Harrah’s doesn’t have numerous offerings, so it doesn’t really matter. A great feature that you can take advantage of right now is playing for free; just play the demo version to see if you like it or not, no deposit needed. Just log in to your Harrah’s account, and Harrahs offers a free slot play session to test your game. The software is produced by Dragonfish Software, owned by 888 Holdings. These are the same people that produce software for the World Series of Poker, so the quality of the website is guaranteed. If you’re unsure of a game’s rules, every game page contains a neat reminder of the rules. They’ve gone so far as to include a gimmick test to see what kind of blackjack player you are, where they ask you whether you prefer vodka over champagne, which adds to the site’s charm. Overall, the site is clearly aimed at casual gamblers who like to have some fun. You’ll be happy to hear there are no Harrahs online casino complaints regarding their customer support since their staff is fast, knowledgeable, and always ready to respond and resolve any issue you may be facing. Rarely do we find an online casino with decent customer support, so Harrah’s deserves recognition. However it must be noted that you can reach them only by email, 24/7 telephone, or by reading through a bulky FAQ section, so forget about live chat. Nevertheless, the quality is more important than the quantity—take our advice in this Harrahs Casino online review, if you’re going to choose between the two, the former is always better. Harrah’s also boasts a high level of security for their software and money transfers. Their software is independently tested, and all their business activity is done in accordance with the strict guidelines set by the New Jersey Division of Gaming Enforcement and the New Jersey Casino Control. 888 Holdings guarantees the software, and it would be a surprise if the software used for the World Series of Poker backfired. As for the mobile software, if you want to use Harrahs online casino app for withdrawals and deposits, you are perfectly safe. Harrah’s Casino is a proud bearer and promoter of Responsible Gaming, a program that aims to prevent gambling problems. If at any time you face gambling issues, they can set deposit, loss, and playing-time limits. If your problem becomes serious, you can also take a cooling-off period of up to five months or a special self-exclusion program of up to five years. Just make sure to play responsibly. In the end, even if you deposit money but still want to try out games for free, you can do that any time using the Harrahs Casino free play option on any slot game, and there’ll be no deductions from your account. As always, all of the NJ online casinos from our list had their ups and downs. In the case of Harrah’s, the bad sides are the ridiculous game variety, a useless weekly bonus program, low-quality apps, and the fact that it’s mostly made for casual players in mind. The good aspects are great customer support that’s responsive and always ready to answer all your questions and resolve your issues, great guidelines and gimmicks for inexperienced players, and amazing starting bonuses and monthly bonuses. In the end, the decision is yours, but it’s our hope that you found our Harrahs Casino online review helpful.